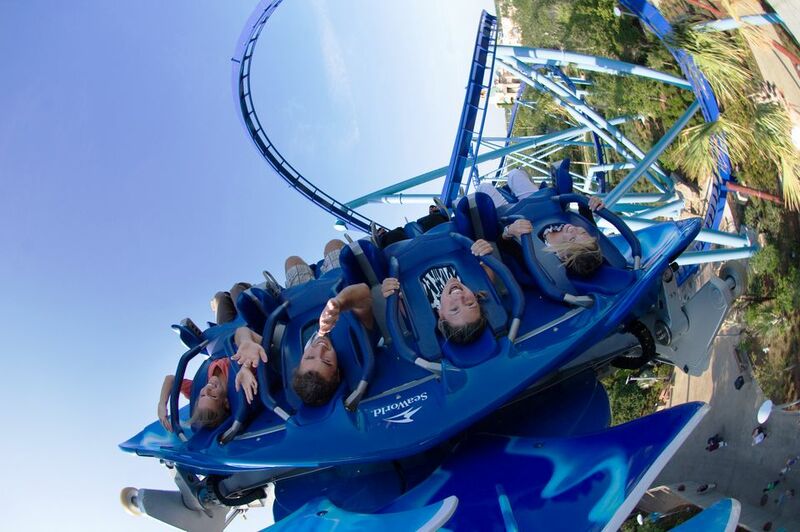 There is no shortage of theme parks in Florida, and they offer plenty of roller coasters. But which ones are the very best? It’s subjective, of course. But after logging plenty of miles riding Florida’s rails, we consider these to be the top 10 coasters. Before we get to the rankings, a few notes. After perusing the list, you may think that a couple of classic rides are conspicuous by their absence. Space Mountain and Big Thunder Mountain, both at Walt Disney World’s Magic Kingdom, are certainly two of the most popular and beloved coasters on the planet, let alone Florida. While they are nicely themed, neither offers ride experiences or thrills that compare to the attractions that made the list. Also missing is Hollywood Rip Ride Rockit at Universal Studios Florida. The highly unique ride offers plenty of thrills and is quite a sight, but it can be fairly brutal, with lots of head banging, shimmying, and generally uncomfortable moments. It therefore does not make the list. 2018 brought Slinky Dog Dash, a coaster that is the centerpiece of Toy Story Land at Disney’s Hollywood Studios. It is a wonderful and charming ride that is accessible to young children, yet still offers decent thrills. While it is a great addition to Walt Disney World, it does not displace any of the other coasters on Florida’s top-10 list. In 2019, two rides will open that may gain slots on the countdown. Busch Gardens Tampa will welcome Tigris, a multi-launch coaster. It is a clone of rides found at other parks, including Busch Gardens Williamsburg. Universal Orlando is set to debut a Harry Potter-themed coaster at its Wizarding World of Harry Potter in Islands of Adventure. Details are scarce, but it will likely be a highly themed ride with indoor and outdoor elements. The region’s only hypercoaster, Mako really delivers the thrills. At 200 feet and a top speed of 73 mph, it features a flurry of airtime that is sheer bliss for coaster fans. The themed ride casts passengers as sharks on the prowl. Four out of ten of Florida’s top roller coasters are at the Tampa Bay park, and its floorless diving coaster, SheiKra, is the best of the bunch. It doesn’t just dive 200 feet and reach a top speed of 70 mph. Before it releases its torrent of thrills, the coaster teases its passengers by dangling them over the edge for a protracted moment of terror. And it includes a second dive for good measure. The non-traditional coaster incorporates three launches and reaches a fairly robust 60 mph. Despite its speed, it remains accessible as a "family" coaster. Cheetah Hunt is wonderfully themed, delightfully smooth, and eminently re-rideable. It's not even close to the biggest, but it's surely one of Florida's best coasters. An incredibly smooth, yet potent thrill machine, Montu is one of the best examples of an inverted coaster. Among its wonderful elements, the ride navigates into underground trenches for some dizzying fly-by moments. And speaking of dizzying, it offers plenty of inversions. One of the best flying coasters, Manta is also nicely themed with lush landscaping. The inversions and "flying" position may prove to be too intimidating for some thrill-challenged guests. The park has a stunning array of coasters, including this aggressive monster that drops 135 feet, reaches a top speed of 60 mph, and includes some intense G-forces. At nearly 3 minutes long, Kumba keeps its passengers screaming for awhile. Read what Joel Bullock, the Coaster Critic has to say about Kumba, one of his favorite rides. Starting in 2017, SeaWorld added a virtual reality overlay to the ride and renamed it "Kraken Unleashed." Riders have the option of wearing the VR headsets. The floorless coaster leaves riders exposed as they navigate its 4000 feet of twisted track. Dropping a hearty 144 feet, Kraken reaches 65 mph and includes diabolical inversions such as a dive loop and a cobra roll. This (sea) monster of a ride is not for the faint of heart. Opened in 2000, Kraken has not aged gracefully, and can be a bit rough as it navigates its elements and transitions. The Aerosmith-themed ride offers a launch that propels passengers from 0 to 57 mph in 2.8 seconds. It also includes three inversions. All while rocking out to amped-up songs such as "Dude Looks Like a Lady." The thrills don't compare to coasters higher on the list, but they are nonetheless intense. One of only three wooden coasters in the state, White Lightning’s stats (67-foot drop, 44 mph top speed) would appear to put it in the “family” category. Stats can be deceiving, however. This little ride packs a wonderful punch, yet remains rock-solid smooth. Although it is a wooden coaster, its structure is actually made of steel. The ride (and the park) fly under the radar amid the area's mega theme parks, but should be on your radar. Boasting perhaps the most unique launch in all of coasterdom, The Hulk sends passengers peeling UP its "Gamma Force Accelerator" tube and into a wacky inversion 110 feet off the ground. From there, it never lets up as it sends riders roaring through a series of heart-stopping elements and rib-clenching positive G-forces. The ride got a major overhaul in 2016 with new trains and new track, but it can still be excessively rough.